. . . It's four o'clock, and I'm Kip Kraddick, your morning man. It's not morning, is it? Thank you! The show gets better, folks . . . This is an aircheck of morning man "Kip" Kraddick on his weekend shift, Saturday afternoon, October 9, 1982. We called him "Kip" to try to overcome the teen thing. The aircheck concludes with a little bit of Andi Marshall. I owned KLRZ in Salt Lake City, and we were in a heated ratings battle. There was an amazing night jock on against us at K96, and he owned the time slot. Kidd Kraddick sounded like a teen and was the most relatable jock I'd ever heard on the air. Kids loved him, and my gut said moms would love him, too. What if I could get him to come work at my station, "Color95", which was targeting soccer moms? 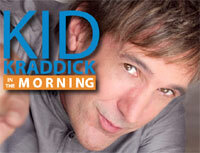 When I approached Dave Kraddick with the idea of putting him on the morning show, he was eager to start right away. He was probably about 23 at the time. I started the wheels in motion, but got resistance at every turn. My team members didn't like the idea, my consultant was against it, and everybody told me I couldn't put a night jock on mornings because we'd sound like a teen station. I went back to Kraddick and told him we were going to do it anyway, but he needed to step up to the plate and win women. We talked strategy, which included immersing himself in the culture of soccer moms. No more could he do teen relatables  he needed to understand the life and hard work of a mom. He agreed, and we went on the air. The market went nuts. Our competitors slammed us at every opportunity, our advertisers canceled, the local newspaper told us we were crazy. When we got that much resistance, we knew we were on to something. Dave and I met for lunch every day to debrief his show and develop ideas. We developed ideas, promotions, and anything that would draw attention to the show. Dave burned the candle at both ends. Unlike so many air personalities of the time who were mostly interested in women, drugs, and booze, Dave was always focused. He was driven to win. He did hours of show prep and worked 12-to-15 hour days, seven days a week. In spite of resistance from the market, Dave and I were determined to prevail. We both had something to prove. I had put the station on the line over this decision. He needed to show he could win as a morning guy. The ratings came in, and the results were disappointing. But I wasn't ready to give up, and gave Kraddick my commitment to stick with it another year. It worked. Our station was disadvantaged with a weak signal that missed the northern parts of the market, about 30 percent of the ratings area. In spite of that, we soon came back with a very strong book, and our morning show was in the top three, right behind KSL and local morning legend Tom Barberi. We had leaped over everyone else. It was the encouragement we needed, and we continued, with our next goal to beat these two powerhouses. Someone had calculated that had we covered the whole market, we would have probably been number two. But we knew the signal would require us to win by a huge margin to be number one. Though we gave it our best shot and we continued to grow, we never got there. 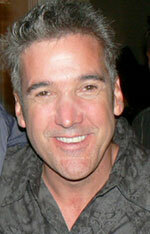 Dave Kraddick entered my office one day with his head hanging down. It was time to move on. He knew our signal problem meant he'd never get a win, and he needed a win for his career. He had accepted a job in Dallas with KEGL and programmer Joel Folger. It was the career move he needed. He went to Dallas doing the night show, knowing he would have to build audience and prove himself again and convince them he could do mornings. I remember Dave telling me that he would one day beat the legendary Ron Chapman as the top morning show in Dallas. He studied Chapman, ran tape on him, and tried to figure out his formula. I knew he would win Dallas, and, of course, he did.